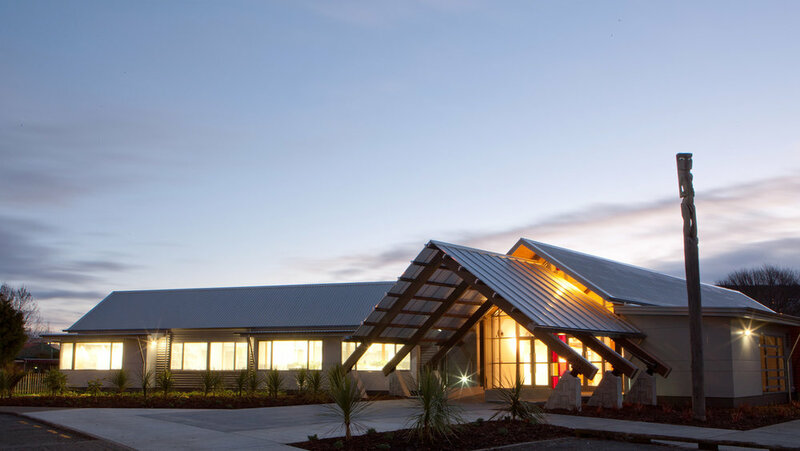 The EIT Te Manga Maori project involved buildings that provide administration offices, meeting areas, research space and a main entry foyer/art gallery. The initial concept was that of a Whare Waka, with the Waka as a symbol of the learning journey. The Waka itself is shown in the main foyer flooring, and reflected in the lighting track above. Another key driver of the design is the location at the front of the site on Taradale Road. With the brief to provide a symbolic gateway to the campus, the main entry to the building is through a waharoa (gateway) which has been squared off against Taradale Road, leading through the Whare Waka and into the central courtyard. 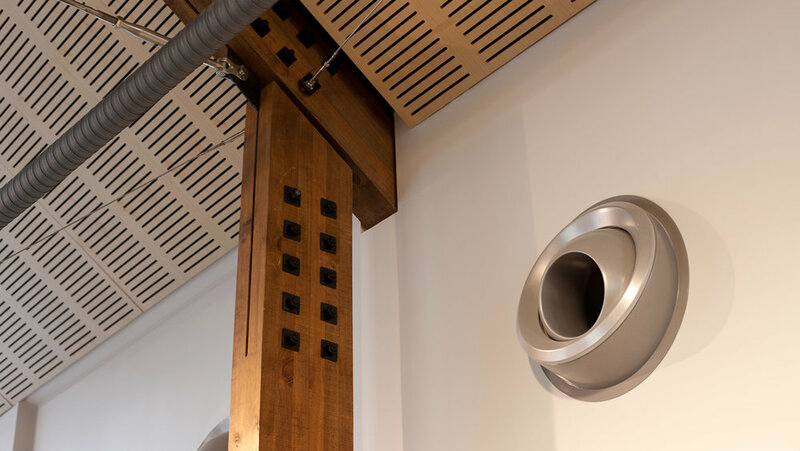 This building’s form, colours, materials and programme relate to Maori architecture, but the building is contemporary, with inflections specific to its use.